It's always good to make time for friends. 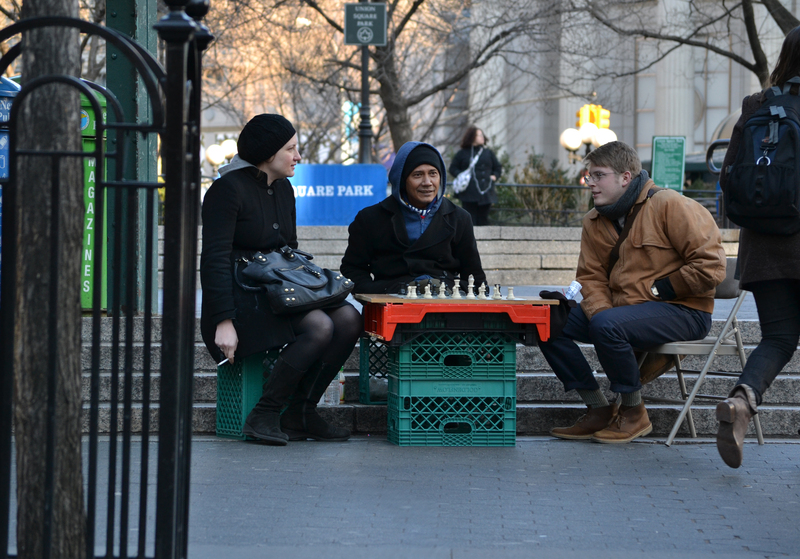 A chilly game of chess in Union Square is a great way to bring people together. Posted on April 5, 2012 April 5, 2012 by Capture the Streets	This entry was posted in Lifestyle and tagged Chess, New York City, photography, Union Square. Bookmark the permalink.